In this Nov. 16, 2017, file photo, Jill Soltau attends the American Folk Art Museum Annual Gala at JW Marriott Essex House in New York City. 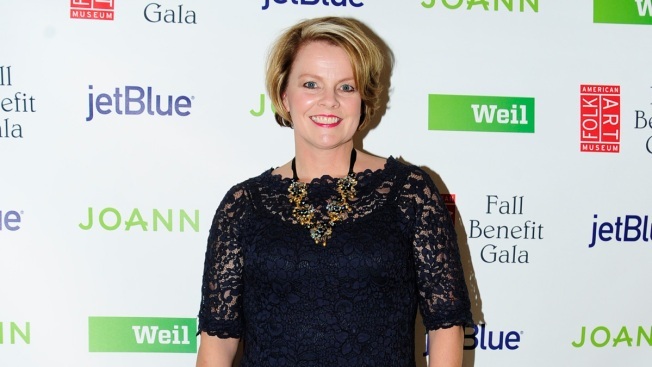 J.C. Penney has named Jill Soltau, who most recently served as president and CEO of fabric and crafts chain Jo-Ann Stores, to be its next CEO, effective Oct. 15. Soltau, a 30-year retail veteran, succeeds Marvin Ellison, who resigned this past summer to take the top job at home improvement chain Lowe's after less than four years at the helm. Ellison's departure raised speculation that he wasn't particularly optimistic about Penney's prospects. The department store chain, which is based in Plano, Texas, is still struggling despite a stronger economy that has lifted sales at its peers like Macy's and Kohl's. Penney's stock rose 10 percent in after-hours trading.